Perfect Impressions is a full-service graphic design company dedicated to helping businesses build their brands and attract new customers, specializing in vehicle wraps, decals, magnets, and custom graphics to unique to our clients’ business needs. Since we’ve worked with companies in different industries we’ve grown to understand the unique needs and challenges that come with various industries, we bring that expertise and experience to the table for each new project. We understand that your time is limited and that taking on a new project can be daunting, so we manage the process from start to finish so save you time and frustration. Our graphic design team works with you to develop your design and can help with ideas and suggestions based on our years of experience. Your project will be done on time, be a great quality, and help you to build your brand. Unlike our competitors, we make almost all of our products in-house in our 10,000 square foot facility, we can control the production timeline and quality. Perfect Impressions will help you stand out in the crowd. 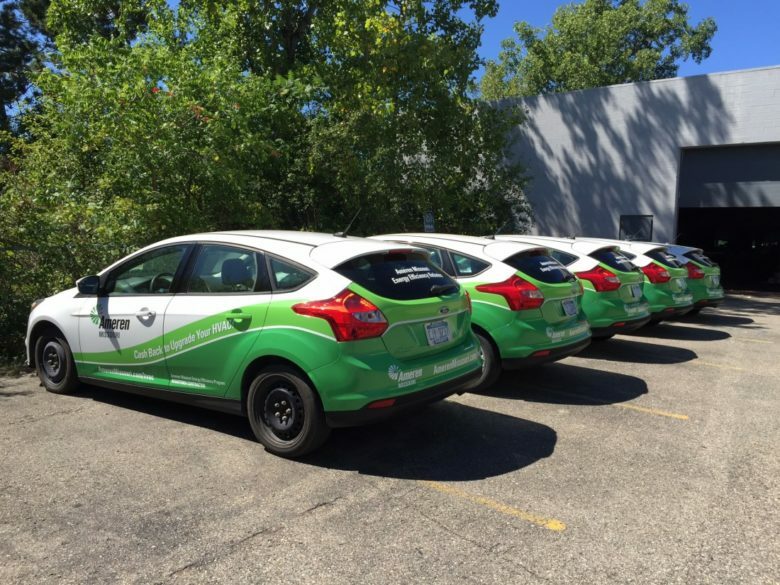 We know how to make your business stand out in a crowd. We have the experience you need – we don’t specialize in signs for one or two industries, we’ve had the experience to fully understand all different industries and their unique needs. We handle the coordination of your entire project from start to finish, ensuring a smooth process and an expertly engineered and crafted product. We’ve built our reputation, since 1989, on our core values of honesty, reliability, and quality. 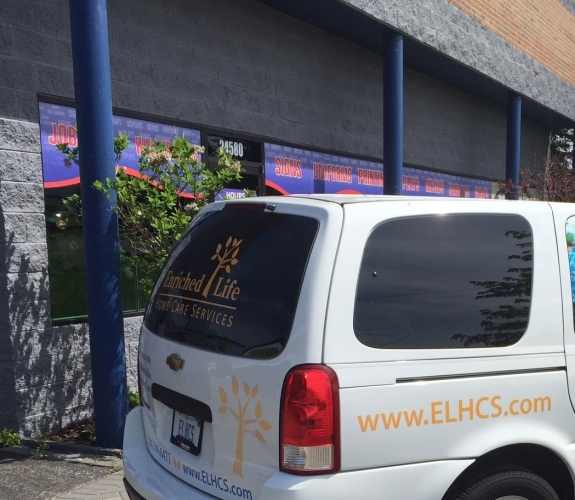 Turn your vehicle into a billboard on wheels with custom vehicle graphics, we can use any high-quality image to create your recreational or commercial vehicle wrap. 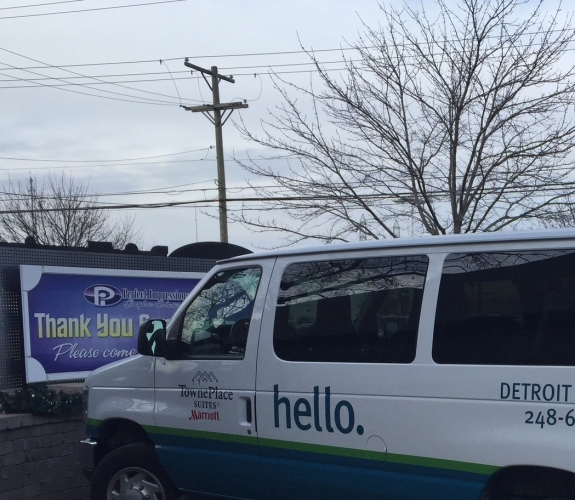 We offer a variety of vehicle marketing options for businesses in Southeast Michigan including custom designed magnets and decals, of course, to get the full effect of a branded automobile you’ll need a full vehicle wrap. 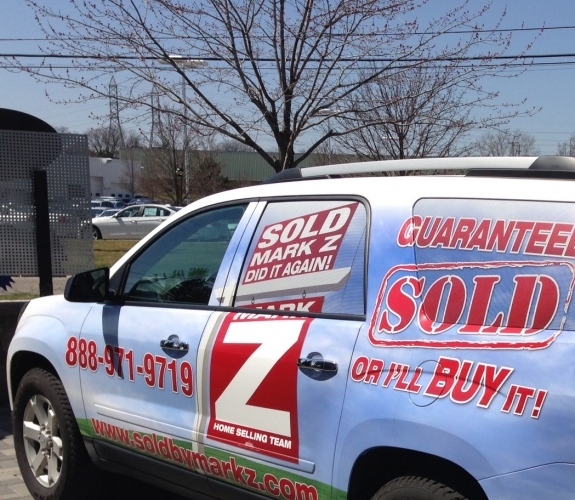 These wraps can include any images or designs and are totally customized to fit your image. We can even do vehicle wraps that are just for fun with graphics and designs that help to turn your vehicle into a race car. Get in front of your customers wherever they are! At our 10,000 square foot facility, we have an indoor heated garage where we complete all of our installs year round. Our team will start by working with you on your design preferences and the image/text that you want then we do the production and installation right here in the same location to make the process faster and easier for you. 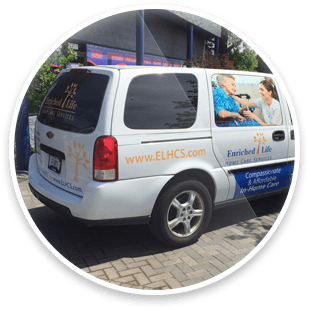 Like window stickers, our custom vinyl decals can be used indoors or outdoors and are ideal for your car, truck, SUV, or anything else that has a clean and smooth surface. 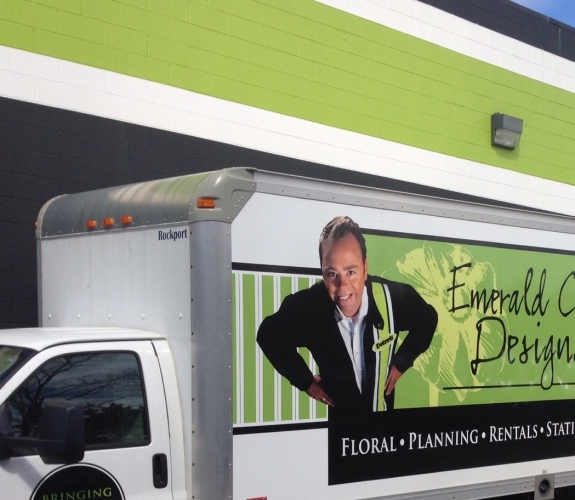 Our mission is to help you create unique vehicle wraps that will appeal to your customers and make you look great. Perfect Impressions can support all of your company’s graphic design and marketing needs. We’ve built our family-owned and operated company on the values of honesty, reliability, and perfection. We’ve spent years perfecting our craft and learning new and better techniques to grow our business. 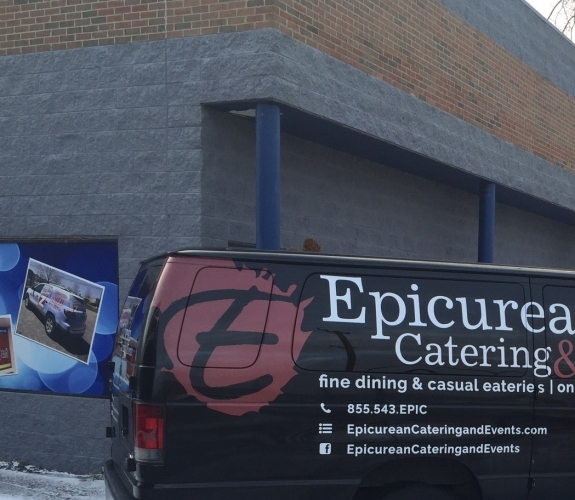 We eat, sleep, and breath signs and graphics so that we can deliver the best product possible. To learn more about the Perfect Impressions story check out our about us page or stop by our 10,000 square foot production and showroom space in Farmington Hills, MI. The quality and impact of our designs show the passion we have for our work. If you are ready to build your brand, we are here to help. Call Perfect Impressions today for deals on graphic design packages or fill out the contact form on this page to request a free estimate for any of your graphic design needs!